Opinion | Parasitic Uganda National Diaspora Policy: Remit Your Earnings and Shush! By Dr. Daniel Kawuma — The Diaspora was once ignored and characterized as a stain on the motherland. A symbol of the tragedy surrounding Uganda’s economic stagnation, social despondence and political malfeasance. Diasporans represent Ugandans that excised the umbilical cord from a nation continuing to bake bread while leaving crumbs for the populace. As the dispersed seeds of Ugandans in the diaspora began to sprout, the fields that once looked barren demonstrated potential to bear fruit. Harvesting season was indeed imminent with remittances growing exponentially to become Uganda’s second largest source of external financial inflow. Uganda currently boasts over $1 billion in annual remittances with the highest current recorded growth of any country at 21% according to the World Bank. The reversal in fortunes led to crafting of a National Diaspora policy. This entailed an effort by the government to forge a partnership with Ugandans in the Diaspora to harvest nectar from the bloom for the purpose of national development. The increasing visibility of government in the Diaspora has been characterized by sections of Ugandans in the Diaspora as cynical and conveniently coming at a time when foreign aid is drying up, a consequence of Uganda’s negative credit outlook. They argue that like a parasite, government is strategically feasting on the Diaspora yields to slow the bleeding from a gaping national economic wound. The push back has gained momentum as financial resources from the government in form of donations to Diaspora organization and travel allowances for government officials continue to weigh heavily on the backs of Ugandan tax payers. Government footprints in the Diaspora have contributed to the fragmentation of the Ugandan community as voices of decent argue that resources should be spent improving livelihoods of struggling Ugandans and not funding weekend party escapades of Diasporans. Ugandans in the Diaspora are not a monolithic group politically, socially or economically and as a result, injection of partisan politics in the fabric of community organizations creates inevitable confrontation. Tension between the Diaspora and the government has been building for decades as many Ugandans choose to preserve a degree of political engagement from a far. This was evident from numerous protests by Ugandans in major cities including London, Los Angeles, Boston, Washington DC, Amsterdam and Cape Town among others following the disputed Presidential elections. In order for Uganda government officials to craft a constructive National Diaspora policy, they have to acknowledge that a relationship with the Diaspora doesn’t exist in a vacuum. The unspeakable struggles and perseverance of Diasporans to deliver for their loved ones back home who are tragically ignored and politically disenfranchised still triggers endless trauma. Speaker of Parliament Ms. Rebecca Kadaga’s war of words with the Diasporans demanding that we stop criticizing government missteps and instead engage in nation building discourse is classic pivoting towards nationalism to seek refuge from voices of despair. To win the hearts and minds of Ugandans, outreach effort through the National Diaspora policy has to go beyond rhetoric. In fact the National Diaspora policy is currently in limbo without the political will to execute legislative measures that give voice to the Diaspora. Though it’s important for Diasporans to have a formal relationship with their government, the partnership has to be mutually beneficial. The government has committed resources on measures of the National Diaspora policy that aim at siphoning off Diaspora capital towards Uganda in form of direct investment, philanthropic resources, remittances, tourism and trade among others. With the government thriving and our communities floundering, the Diasporans have been left asking – what do we get in return? Diaspora consulates are underfunded and don’t offer a comprehensive range of consular services, legal assistance for Ugandans in the Diaspora is inexistent and often left to volunteers, repatriation is severely lacking, and Ugandans are falling victim to human trafficking, labor exploitation and abuse without refuge. The marriage between Diaspora associations and the governments has alienated sections in the community. Financial donations in the realm of $100,000 to UNAA and other diaspora associations are asinine in the court of public opinion especially at a time when Ugandans at home lack healthcare, food, livable wages and basic social services. Financial ties with the government create a chink in the armor of Diasporans who can be agents of change in Uganda by advocating for democracy, human rights, tolerance, equality, individual liberties and justice. Ugandans in the Diaspora have predictably failed to forge a united front that would make numbers totaling over 1.5 million people count. The prevailing factions in the Diaspora often have competing agendas rooted in political, religious or tribal sentiments. Lack of unity, tolerance and a cohesive strategy to mobilize and address issues affecting the livelihoods of Diasporans has been one of the greatest failures of our associations in the last decade considering the economic muscle of the Diaspora. 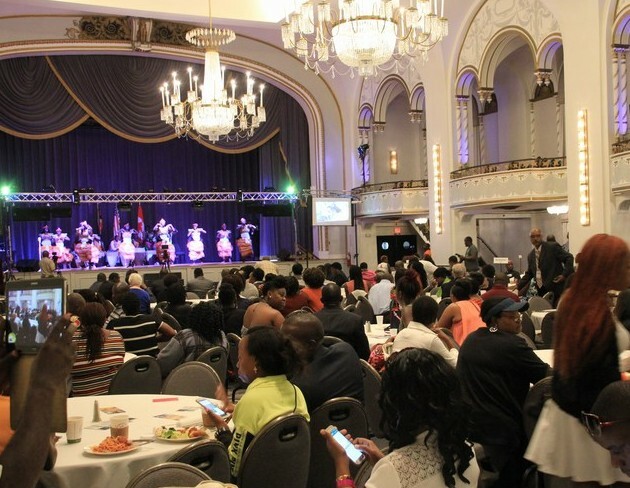 With the government continuing to hedge their bets on the Diaspora, it’s an ideal moment for Diasporans to spread their wings from a position of strength and demand more tangible community building concessions. These would include tax breaks on remittances through minimizing front and back end costs, legal support, cultural centers, tax treaties, labor and human trafficking protections and the right to participate in the national political process. Opening the doors of political inclusion would involve giving Diasporans access to the ballot. Having both economic and political leverage, the Diaspora would be better equipped to mobilize, hold public officials accountable and demand competing visions for a mutually beneficial partnership. Diasporans need to recognize the value of the associations and communities that we have built. These islands of change symbolize our villages and small towns but in an environment that offers tremendous opportunity and individual liberties. While contributing to the national wallet and livelihoods of families and loved ones is of great significance, we should also build the capacity to elevate our voices to shape the direction of the country. Ugandans in the Diaspora should remit and also speak up to demand change. Yet yey yey, sebbo kyogeleko! We start with citizenship and our land rights mannn! Just because we are in the diaspora doesn’t make us unugandan. We have every right to belong and remain Ugandans by birthright and keep Our land assets. Ela kyogeleko unaa unite and strengthen the diaspora n voices sente Zagavumenti muziwe embassies they need it more, they have responsibilities to their citizens overseas we need to see them work a lot more for us !